There is a certain heaviness when one talks about a “theology of the other” as we explored last night at the Practice. For some of us, the “other” feels far away; Syrian refugees and ISIS fighters, global politics, and economic anxiety. For other of us, the “other” is closer to home; the upcoming election, the political party we despise, the race or orientation we don’t understand. For all of us, the “other” is as near as our doorstep; the hurting city of Chicago, the neighbor down the road we’ve never met, the family member who is now estranged. To answer that question, I was grateful, as I am every week, that the Practice began with a journey. We prayed the Scriptures and were confronted by their words. We confessed our sins and received the assurance of Jesus (“See what great love the Father has lavished on us, that we should be called children of God!”) We sang in worship songs of peace and songs of love. All prepared our hearts for what turned out to be a profoundly beautiful invitation from Pastor Michael Rudzena. Michael began by acknowledging where we’re all at. The world, increasingly through social media and globalization forces, is struggling with how to respond to the social, political, economic, racial, and sexually oriented “other.” However what was so refreshing about the word Michael shared was his insistence that in the gospels, we have been given the very resource of Jesus Christ through his life and words in order to learn well how to engage the “others” in our own lives. So we turned to Matthew 9, where Jesus, eating with the sinners and the tax collectors, responds to the Pharisee’s disgust with the invitation, “Go and learn what this means: ‘I desire mercy not sacrifice,’ For I have not come to call the righteous, but sinners.” (Matt 9:13) How do we counter disgust with mercy? Well its going to take practice (you can listen to all of Michael’s talk and practice below). The practice for the evening therefore became a mediation on disgust, however instead of lectio divina (sacred reading) or oratio divina (sacred listening) we embarked on a practice of vizio divina (sacred seeing). The practice invited us to reflect upon a picture of Donald Trump and Hilary Clinton, asking what we noticed, what we felt in our bodies, what emotions, and what disgust may be present. 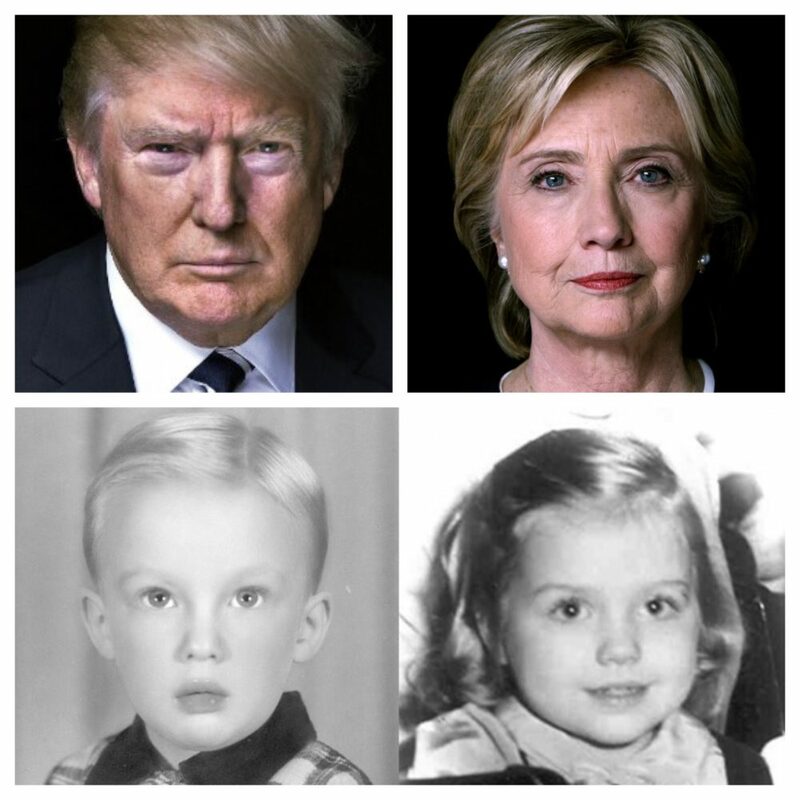 We then were invited to look at a second picture, this one of Donald Trump and Hilary Clinton both at 7 or 8 years old, before finally returning to once more gaze at their adult portraits. The change was haunting. My own experience was that of increasing sadness, as I increasingly moved past the political image for both to see a genuine human being, with glimpses of fear lingering on the corner of their eyes. It will be difficult moving forward to not remember such a practice, each time their names glare at me from morning headlines, or their images flash on social media outlets. We concluded necessarily with a journey to the Table, one that was a rich call to see the Table as a practice in and of itself for the sake of the other. As Christ was broken and poured out, so we too, as those who bear his name, are called to be broken up and poured out for the sake of the world and particularly for the “other.” My soul was nourished as I ate the bread, and drank the cup, remembering what Christ had said and done in his own life as the call of my own. Prayer: That we might be a community that practices prayer for the sake of the other, praying for our enemies continually, even and especially when the disgust rises within us. Pursuing: That we would consider this week reaching out to someone who might be an other, whether it going to a neighborhood we wouldn’t often feel comfortable in, reaching out to a person or people who we wouldn’t often engage, or even just taking someone out for a coffee to focus on listening to their story, rather than inserting our own. Retreat: Registration for our retreat on Sunday August 28th is up and would be an incredible opportunity to continue exploring the journey began this past Sunday evening. We would love to see everyone there! Though we won’t be gathering this next Sunday evening (August 21st), we will be praying for you as we journey together in extending our hearts in mercy out to the others around, even as Jesus taught.